Do you love a good game of cards with your friends or family? Or do you have someone in your life who breathes and lives poker? Then, this cake would make the ideal gift for that special person. 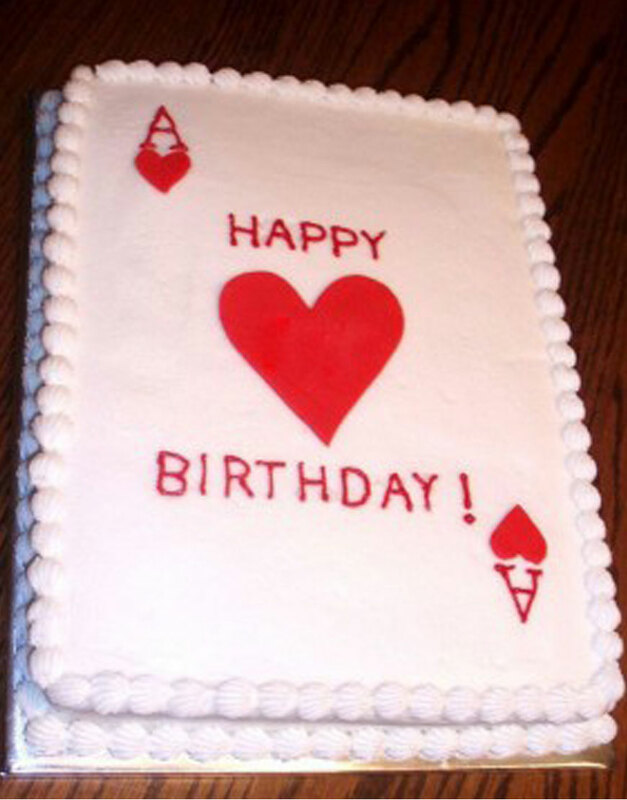 With a simple yet classy design, the Heart of Hearts Cake is a classic culinary creation that never goes out of style. The cake is frosted with airy, yummilicious vanilla buttercream that tastes heavenly. Lose yourself in the delight of this old-fashioned hearty birthday cake and reminisce over good times. All our edible works of art here at GurgaonBakers are made with the finest of ingredients and are freshly baked so that the final product explodes with flavours as you bite into it. This is why our customers have crowned us as the top bakery in Gurgaon for designer cakes in Gurgaon. Check out our wide gallery of designs and choose the one that matches your style and theme. Place your online cake order in Gurgaon at our site.